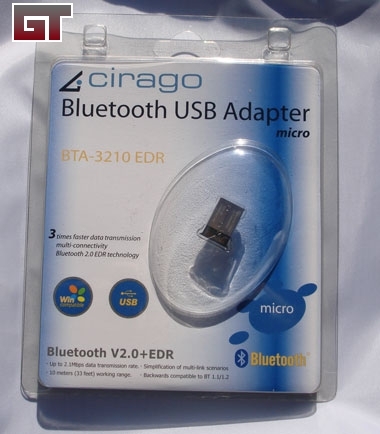 Cirago sent me their micro USB Bluetooth dongle to take a quick peek at. 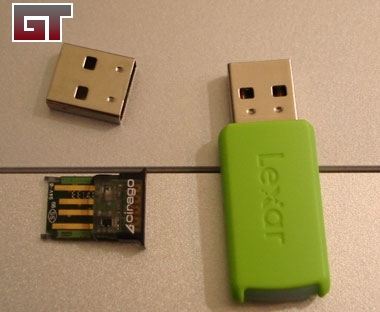 When I first got the information on this I just thought this will probably be the smallest USB device I will ever use. Knowing that Bluetooth devices are becoming more and more popular and useful, I thought I'd give this adapter a try. We'll see how it manages in a house crowded with wireless signals. Without further delay, let's check out what this little guy can do. "Cirago is a technology company founded in Hong Kong, 1996; engaged principally in the manufacturing and distribution of electronic products throughout Asia. The manufacturing facilities are located in Shengzhen, Mainland China." 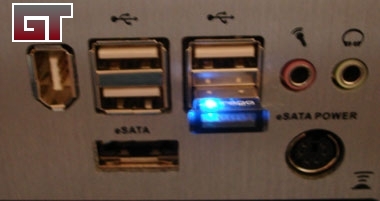 "Cirago established its first overseas branch in the heart of the Californian Silicon Valley in 1999 for the distribution of computer peripherals and components. 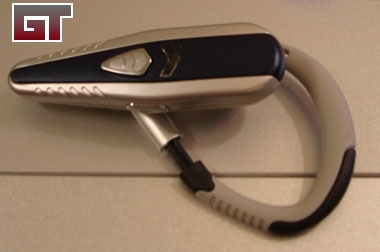 In mid-2003, Cirago embarked on a new concept launching a line of MP3 players into the U.S. market. In January 2004, Cirago expanded its operations into three divisions, which are: Consumer Electronics, Art & Graphics and Seasonal Products." 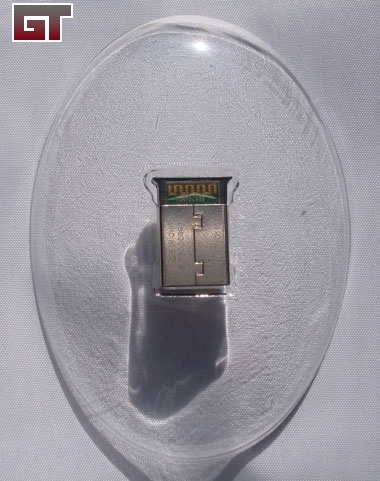 The package that the dongle comes in is a small formed plastic bubble shell that holds and protects the device. 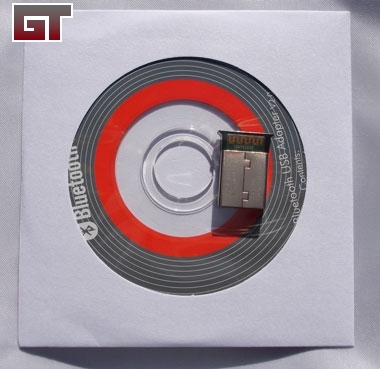 The CD that comes with it is one of the small 185MB discs and is about 3" in size. Setting the adapter in the CD, you can see that it is not very large and could almost fit inside of the CD hole. 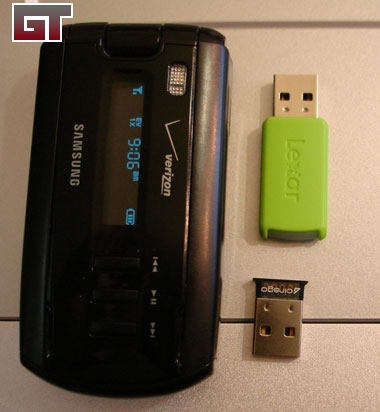 Another size comparison is next to a 512MB thumbdrive and my Samsung A930 cellphone. The Bluetooth takes up a small foot print outside of the case. Using the Thermaltake Mozart Tx case once again -- I have the Bluetooth device on the top slot and my Firefly thumbdrive on the bottom. After the fit test and trying to see what type of foot print the adapter would take, I found out the grounding shield on the outside comes off easily. As I pulled the Bluetooth adapter out, it left the shield in the computer. It did not affect the device and sliding the shield back on was not a problem. Woops? 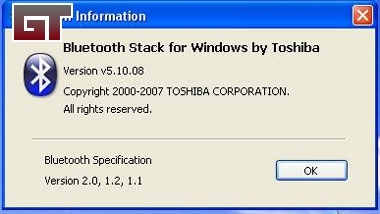 The next step was to install the software and get it up and running. About 25% into the install it wanted the adapter plugged in. 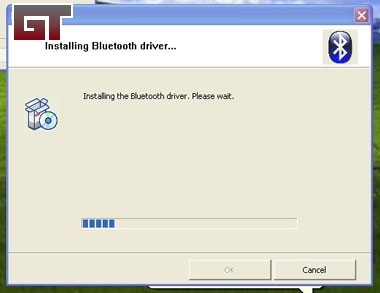 Looking at the driver / software version information gives you this small screen. I placed the dongle in the lower USB slot and waited for it to turn on. When it is on you get a blue heart beep light. At this point it is time to see what I can connect to it. Using the head set from my cell phone, I'm going to try and pair it up for usage. 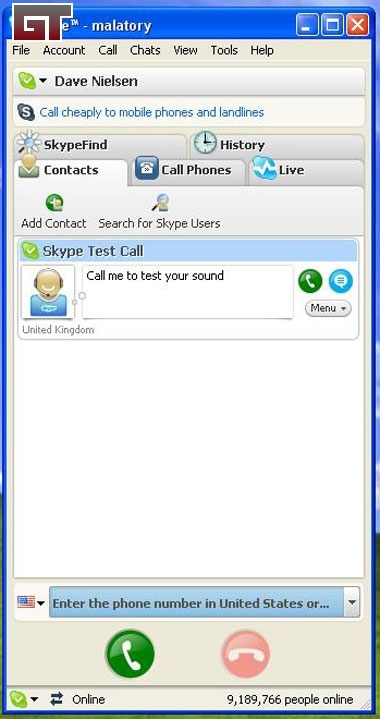 Also knowing I needed something to test the head set with, I loaded Skype VOIP and set up a free account with them. I first called their test account to test the sound and mic. I had no problems hearing them or my own voice when I recorded the message. I also took the time to call a friend who said it was the best VOIP call he had heard from me in the last week. My Vonage service makes me sound like a sheep which is not working very well right now. I was also able to finalize our plans this weekend while I was BBQ'ing in the back yard. Not wanting to leave the cell phone alone, I was able to pair it up with my system. I wanted to see if I could get data on and off the phone through the Bluetooth connection. 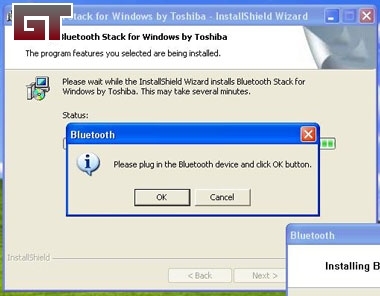 The software supports the connection but doesn't see it as a connectable device. This is a common issue with Verizon phones as they have a tendency to cripple everything. 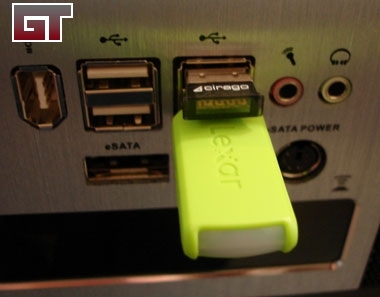 Overall the Cirago micro USB Bluetooth dongle has done very well. Connecting to the dongle with my earpiece with Skype was a snap. Distance was not an issue since the computer was on the main floor and I was able to walk around the house without going too far. I did not get noise or interference from the 802.11b/g or 802.11n network. That's where the positives end. One major issue I had with the device was when I removed it from the computer for the first time the shielding came off. The quality control needs to be looked into if this is a common occurrence. 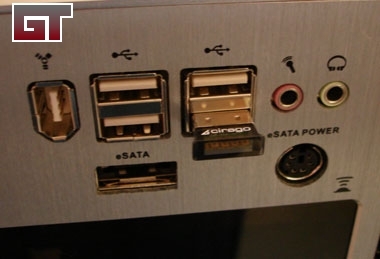 This is smaller than the typical adapter and even though it is almost flush with the case, I would not want to leave it in my system when moving it around or in a laptop when putting it into the backpack. It would have been nice to get an storage case with it for transport.